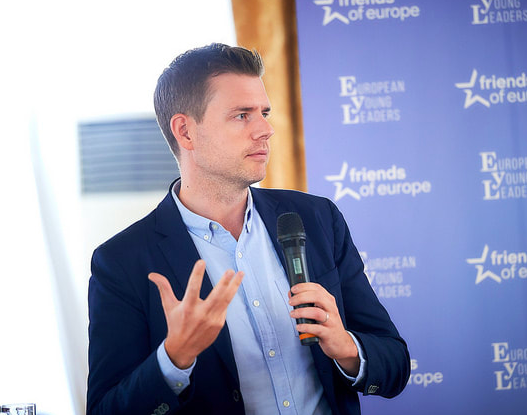 Matthew Goodwin is an academic, a bestselling writer and speaker known for his work on Britain and Europe, political volatility and risk, populism, Brexit and elections. He is Professor of Politics at Rutherford College, University of Kent, Senior Visiting Fellow at the Royal Institute of International Affairs, Chatham House and also served as Senior Fellow with UK In a Changing Europe. Matthew is the author of six books, including the 2015 Political Book of the Year and the 2018 Sunday Times Bestseller, National Populism, which was also listed among the 2018 Politics Books of the Year. He has published books with Oxford and Cambridge University Press, dozens of peer-reviewed academic studies in top-ranked journals, reports and briefings. Matthew has consulted more than 200 organizations around the globe, from the UK Prime Minister's Office to the President of Germany, U.S. State Department, European Commission, Council on Foreign Relations, Deutsche Bank, UBS, JP Morgan, Rothschild and Cie, the Trilateral Commission, Goldman Sachs and Clifford Chance. Matthew also regularly interviews politicians, activists and campaigners from across the spectrum and appears regularly in international media himself, including BBC News, Financial Times, New York Times and Politico. He lives in London and tweets @GoodwinMJ. You can also connect with him on Linked In. Matthew is a political scientist who has been undertaking research and consulting widely for almost twenty years. He holds a BA (First Class Hons), M.A. and PhD and has held a series of academic positions. After completing his PhD, Matthew joined the Institute for Political and Economic Governance at the University of Manchester and was then awarded a prestigious Postdoctoral Fellowship with the Economic and Social Research Council (ESRC). He was appointed lecturer at the University of Nottingham in 2010 and then completed research projects for the Leverhulme Trust, Nuffield Foundation, British Academy and Home Office, among others. He was also awarded a rare ESRC Knowledge Exchange Fellowship and spent one year seconded to a UK government department. In 2015, he was appointed Professor of Politics at the University of Kent and in the same year was awarded an ESRC Senior Fellowship to examine Britain's 2016 EU referendum. In 2018, he was named a European Young Leader. Matthew's distinctive contribution to social science research and public debate has been recognised by several bodies. In 2014, he was awarded the Richard Rose Prize, given to one scholar annually for their contribution to the study of politics. He has also been awarded the Communicator Prize for his dissemination of research to non-academic audiences. In 2015, he won the Paddy Power Political Book of the Year for Revolt on the Right, which was also long-listed for the Orwell Prize, and subsequently wrote the first academic book on the Brexit vote, for Cambridge University Press. Three years later, Matthew's book National Populism became a Sunday Times Bestseller and was listed among the 2018 Politics Books of the Year. If you are interested in talking with Matthew or asking him to speak at an event drop him a note.